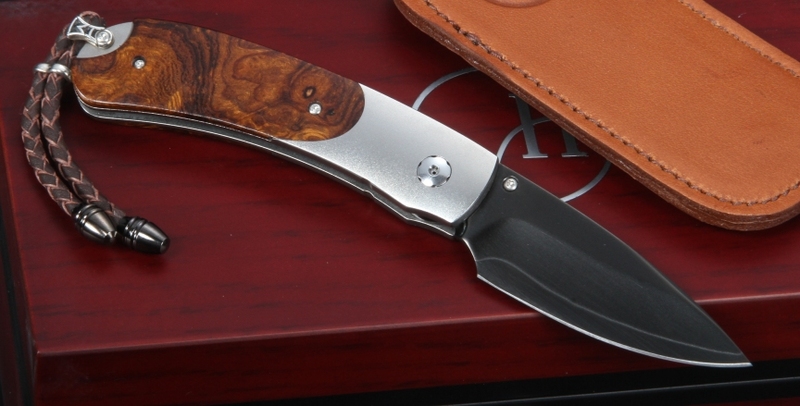 The William Henry B09 TIB limited edition of only 500 individually numbered knives. 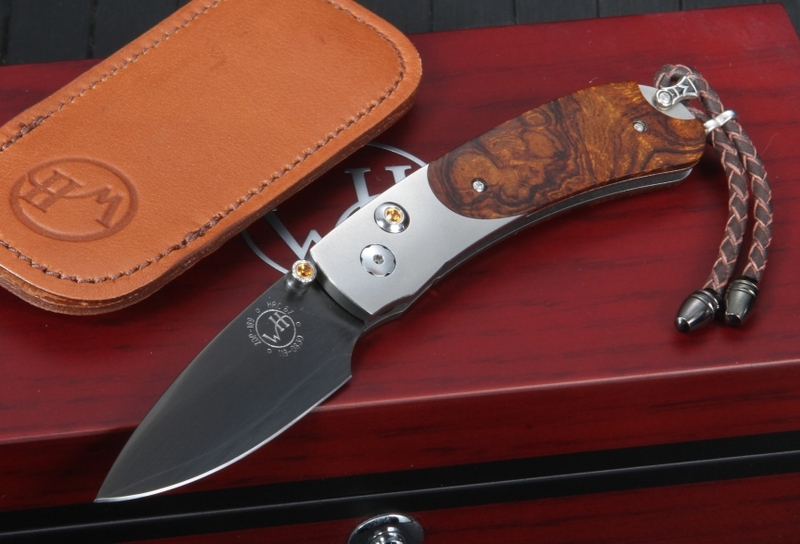 This folding knife comes with attractive desert ironwood handle scales mounted on a frame of integral aerospace-grade titanium. The knife closes with a button lock and thumb stud inlaid with citrine. The blade on this knife is ZDP-189 steel with a black DLC coating. The DLC stands for Diamond Like Coating and is extremely durable tungsten carbide. This B09 knife features a sterling silver bale, braided leather lanyard with stainless steel beads, and matching brown leather ClipCase for safe carry and easy access. 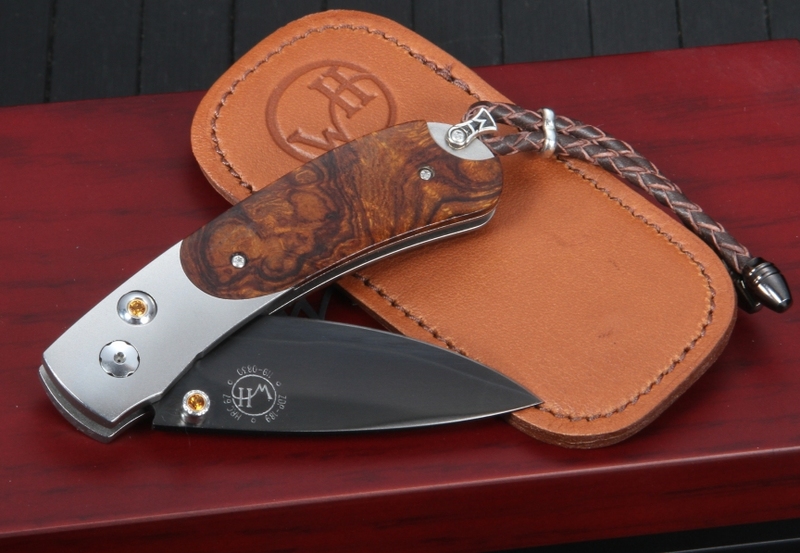 A unique serial number is engraved into the blade and every knife includes a Certificate of Authenticity and upscale wood presentation box.